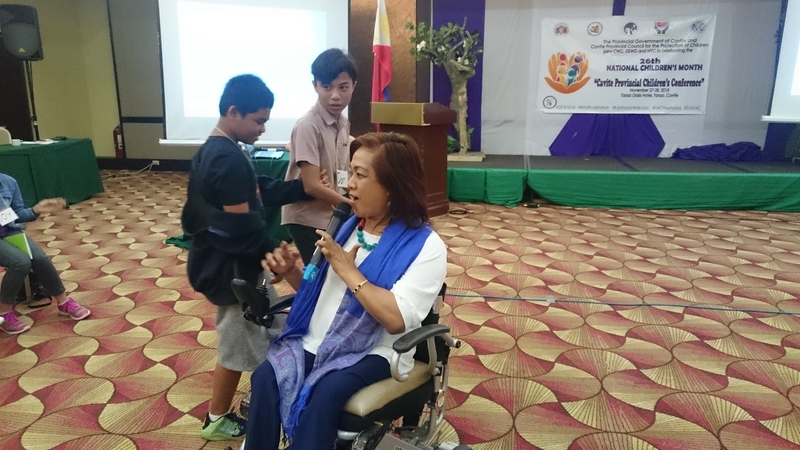 The National Council on Disability Affairs Officer-in-Charge, Carmen R. Zubiaga recently presented its current initiatives to promote inclusiveness of children with disabilities. 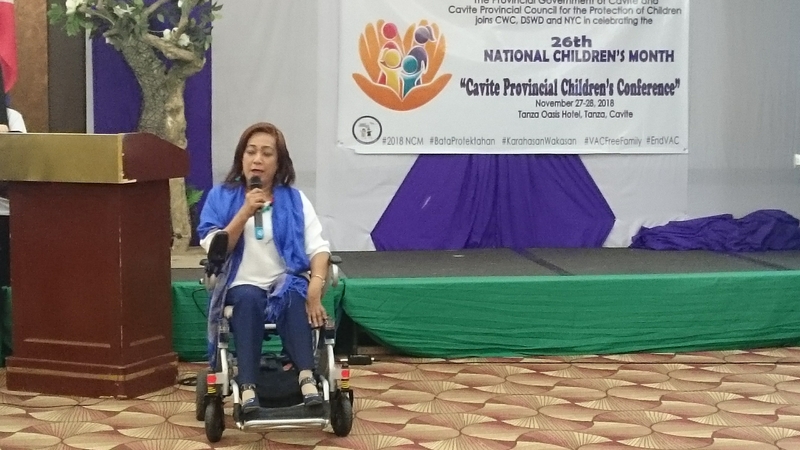 Speaking before a hundred children, parents and caregivers who participated in the “Cavite Provincial Children’s Conference” organized by the Cavite Provincial Social Welfare and Development Office and the Cavite Provincial Council for the Protection of Children in celebration of the 26th National Children’s Month, OIC Zubiaga talked on disability, inclusion, and politically correct terminologies that should be used in dealing with persons with disabilities. 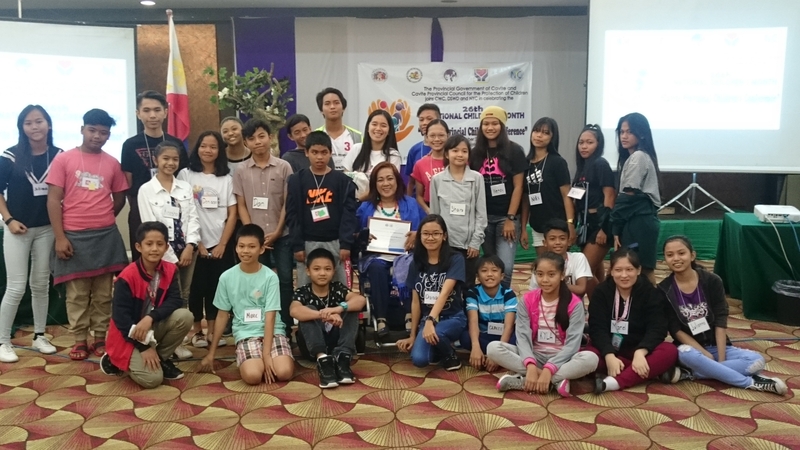 The event was held on November 28, 2018 at the Tanza Oasis Resort and Hotel in Tanza, Cavite. OIC Carmen Zubiaga engaging with the only blind participant, Allen (in black jacket), and his buddy Dan who learned how to assist person with disability. In her Interaction with the children, OIC Zubiaga learned their ideas about discrimination and the way to properly assist their classmates with disabilities. She was amazed on the insights and opinions of the children and how easily and mindfully put into practice what they have learned from the conversations. 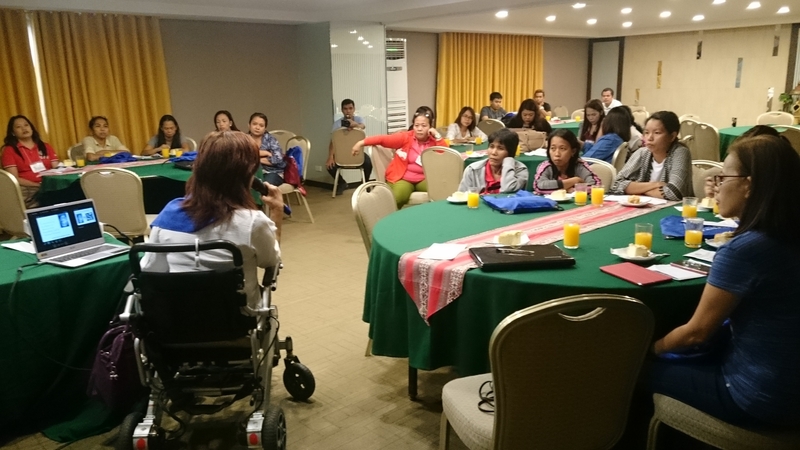 A separate session with the parents and caregivers of children with disabilities was also held to further promote the United Nationals Convention on the Rights of Persons with Disabilities or UNCRPD, specifically Articles 3 and 7 emphasizing the respect for the evolving capacities of children with disabilities and respect for the rights of children with disabilities to preserve their identities, respectively.